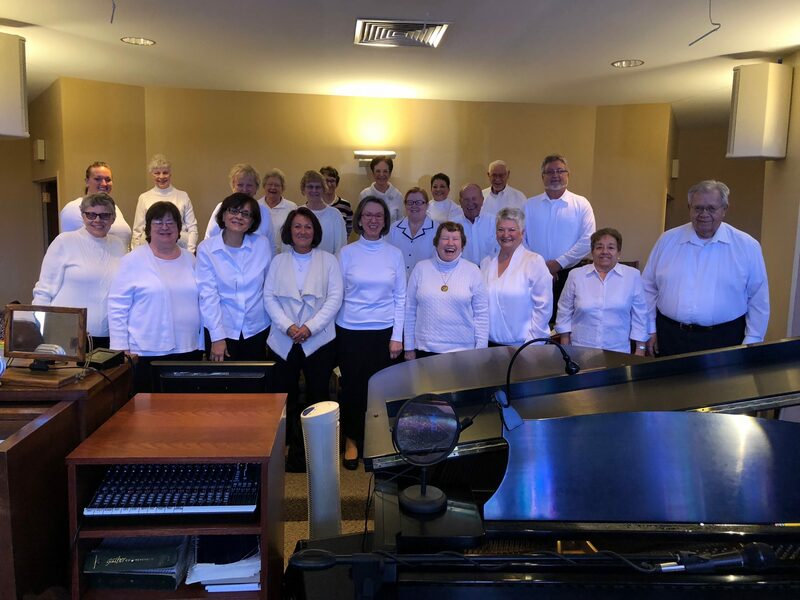 The Choir of Saint Aloysius Gonzaga Parish is a thriving and crucial part of the music ministry program. This large ensemble leads the music for Sunday Masses from mid-September to May each year, as well as for feast days and major celebrations in the Liturgical calendar. Please consider joining us for a lot of wonderful new music and fun times! The Choir sings every other Sunday at the 11:15 am Mass, alternating weeks with the Contemporary Ensemble. Membership is open to any parishioners high school age and up. The ability to read music is desirable but the only real requirements are a love of singing and the ability to follow well. The time commitment of weekly rehearsals is very important, but occasional absences are certainly permitted. Rehearsal Schedules: Weekly rehearsals are usually on Wednesday nights in church beginning at 7:00pm. Rehearsals last approximately 90 minutes. Each year rehearsals resume in mid-August and the choir begins singing at Mass on the Sunday following Labor Day. Warm-up for Mass: The choir gathers on designated Sundays at 10:30 am for the 11:15 am Mass to prepare for singing that day’s liturgy.